Homeworld spent 12 long years in the wilderness. 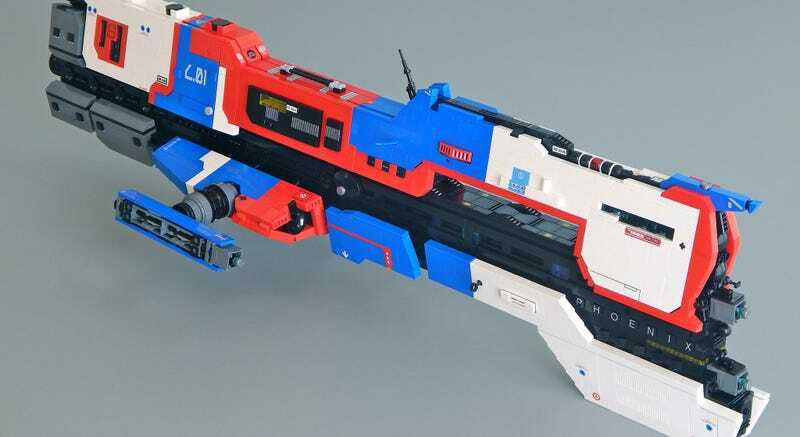 During that time, few scenes kept the series' spirit alive better than LEGO builders, who ceaselessly constructed tributes to its iconic ship designs. Playing through Homeworld again after all these years is weird. The gallery below highlights the work of builders de_chef, Damien Labrousse, Commander626, 4estFeller, Zach, Pierre E Fieschi, dasnewten and Adrian Florea. Contact the author at plunkett@kotaku.com.